Takeaway: Here's how to grow your own private garden no matter where you live. Start off by choosing the most suitable edible plants that can be grown in small spaces like a home garden, garage, or even an apartment room. Organic and healthy food has seen an unprecedented rise in popularity in recent years. People are becoming increasingly more conscious about what they consume and are also paying more attention to the origins of their food. For many people, preference is given to natural and organic products grown without the use of synthetic fertilizers or harsh pesticides. Big supermarket chains like Tesco are noting a 15% increase in organic sales for 2016. Aside from the health factor, a large part of this organic food boom can be attributed to the efforts of world renowned chefs like Jamie Oliver, who always stress the importance of using good products. While we can all agree that organic food is better and preferable, not all of us can afford it on a regular basis. Most organic brands are considerably more expensive as compared to their “regular food” counterparts. Increasingly more people are starting to grow their own food in an urban setting, making only minor adjustments to their homes in order to provide proper conditions for the plants. A study by the National Gardening Association in the US revealed that in 2013, Americans spent $3.5 billion on seeds, soil, nutrients, vegetable starts, and other supplies. Furthermore, the research shows that 42 million households are growing food in their homes or shared gardens. There is an opportunity for anyone who wants to eat healthy without breaking the bank; the possibility of creating your own private garden and grow the veggies you like, all the while spending drastically less on food. All you need is the space to do so! Even if you don't live in a detached house and don't have a garden plot in the backyard, there are ways to make it work. Let's take a look at some of the most suitable edible plants that can be grown in small spaces like a home garden, garage, or even an apartment room. This means that the plants must be grown in pots, DIY containers, or vertical gardening structures. 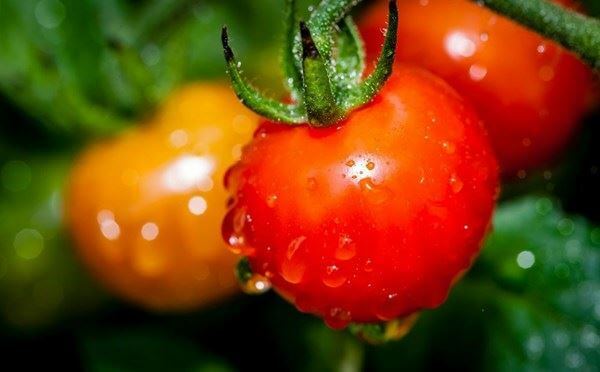 Tomatoes grow very well in containers of almost any size, but it all depends on the type of tomato you choose. Make sure that the container you select is sufficiently big to allow for the plant to develop freely. You can choose to plant the tomato from seeds or simply buy a small starter plant. It is advisable that you add some kind of growing support as it grows bigger. It can be a cage or even a regular wooden post. 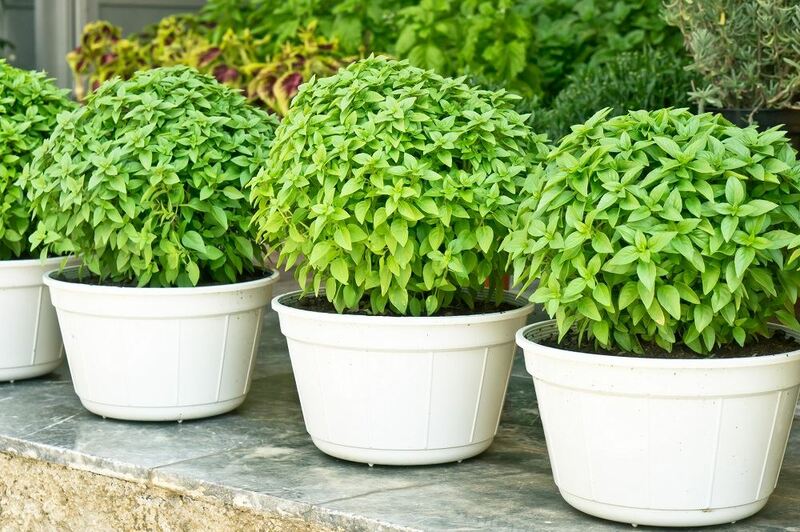 Basil is suitable for growing both indoors and in a small yard garden. One of the great benefits of growing it yourself is its wide use in all sorts of recipes. When the need arises you can simply reach out and grab a few fresh leaves. It is important to note that you should avoid getting the plant's leaves and stem wet when watering it, just water the soil itself. It also needs lots of sunlight so growing it in a small container makes it easy to move to a more sunlit location. 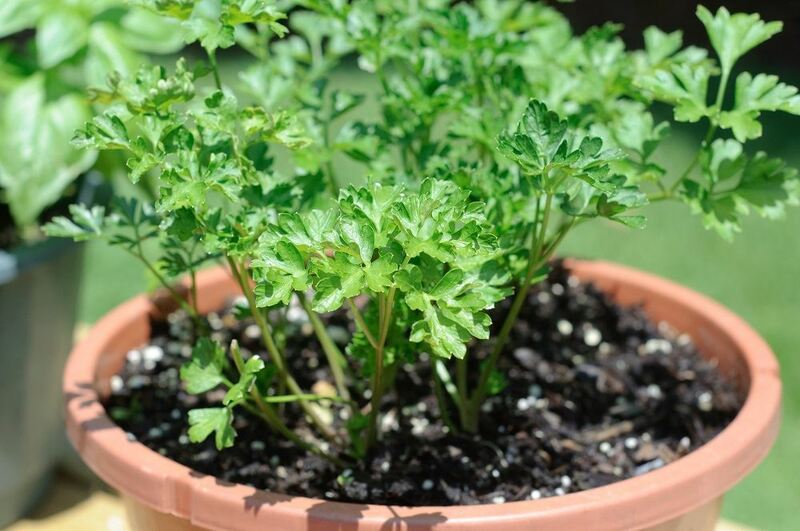 Parsley is another perfect plant for growing in a container and also has a wide applicability in culinary. Unlike basil it requires a lot less sunlight so it can thrive even in an apartment with fewer windows or no balcony. The most vital thing when growing parsley is to find the right water balance - keep the soil moist but don't overwater. It might sound surprising but strawberries are very suitable for growing indoors and don't need that much space. The plant needs a lot of sunlight so make sure to place it near a window. 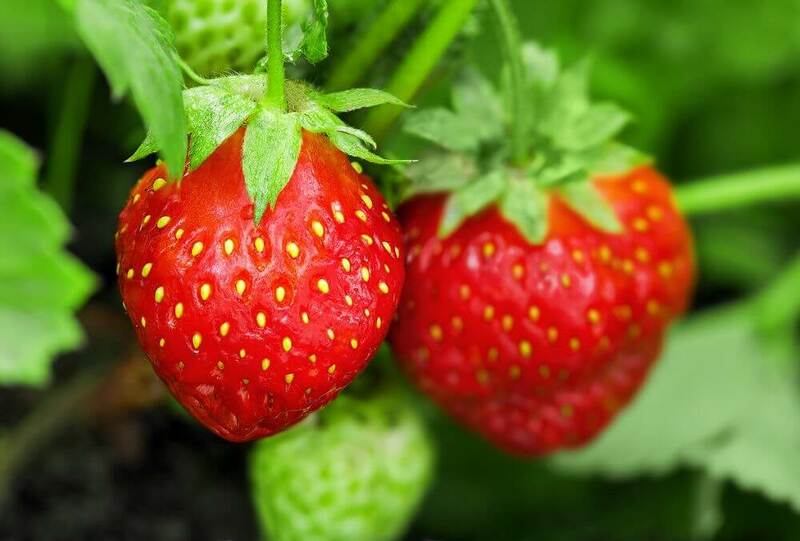 Strawberries also thrive very well under artificial sunlight so they can also be grown in winter. 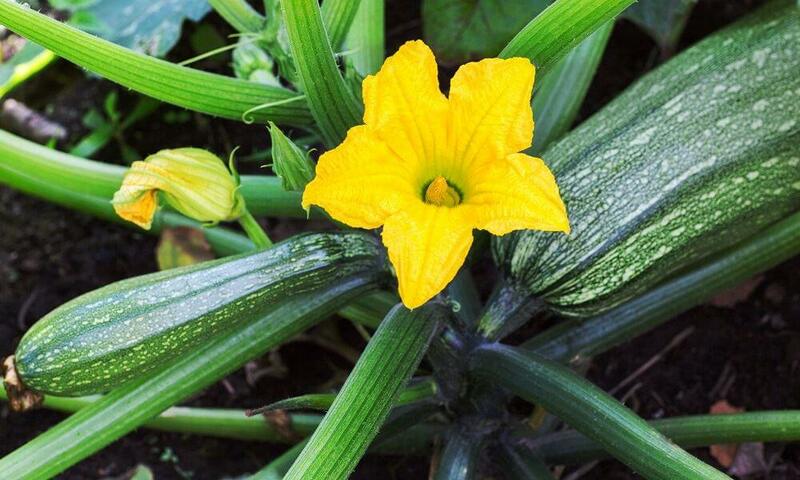 Zucchini is a high yielding plant and even a single pot can provide enough for the whole family. It can thrive both indoors and outdoors and it's easy to grow from a seed. The plant needs a moist environment and warm soil so the seeding should happen in late summer. As we mentioned earlier, a single plant can produce a lot of zucchinis so make sure that your containers are large enough. Now that we've discussed which plants are suitable for growing in small places like apartments or tiny gardens it`s time to discuss the process itself. Before starting the growing process and investing in any tools or seeds, first consider the scale of your operations – how many plants you'd like to grow and what kind. If you're a family of three it's likely that you won't need 10 pots for growing tomatoes. Also, don't forget to allow room for the plant to develop. You might be tempted to cram a lot of pots in a single corner but the plants' growth will most likely suffer if you do this. Growing plants in containers is actually not very different from growing them in a garden. It might be less limiting in terms of space but you have more freedom in terms of placing the plants around. Practically, you can grow almost any plant in a container if you provide the necessary environment. Certain plants like strawberries require more light to thrive so you should consider using LED grow lights for indoor farming. Take care of providing proper light conditions and adequate watering and your small garden will do perfectly, no matter if it`s in your apartment or outside. You can get really creative here and use almost anything from an old wardrobe or a drawer to a bucket, or even create a custom container from wood pallets. This can also serve as decoration for your home. After you have the containers all you need is soil and seeds to plant in it. For a more in-depth and complete explanation on how to create your own garden and grow the plants you like, watch this video. Creating your own garden full of tasty vegetables and herbs is not as hard as it might sound. Even if you live in a very small apartment you can still find the space for a few containers and try it out, the benefits are definitely worth the effort. Don't forget to provide the plants with proper amounts of water and light and the rest will go smoothly. Luis Rivera has more than 20 years of experience in global market expansion, business development, mergers and acquisitions, business re-engineering, finance and investor relations of software companies. He is passionate about technology, spectral science, indoor farming, food production, automation, and more. Since 2015 he has been the president of Advanced LED Lights, a leading LED grow lights manufacturer based in Hiwasse, Arkansas. When not at work, Luis enjoys swimming, yoga, and growing grapes and flowers in Sonoma, California.